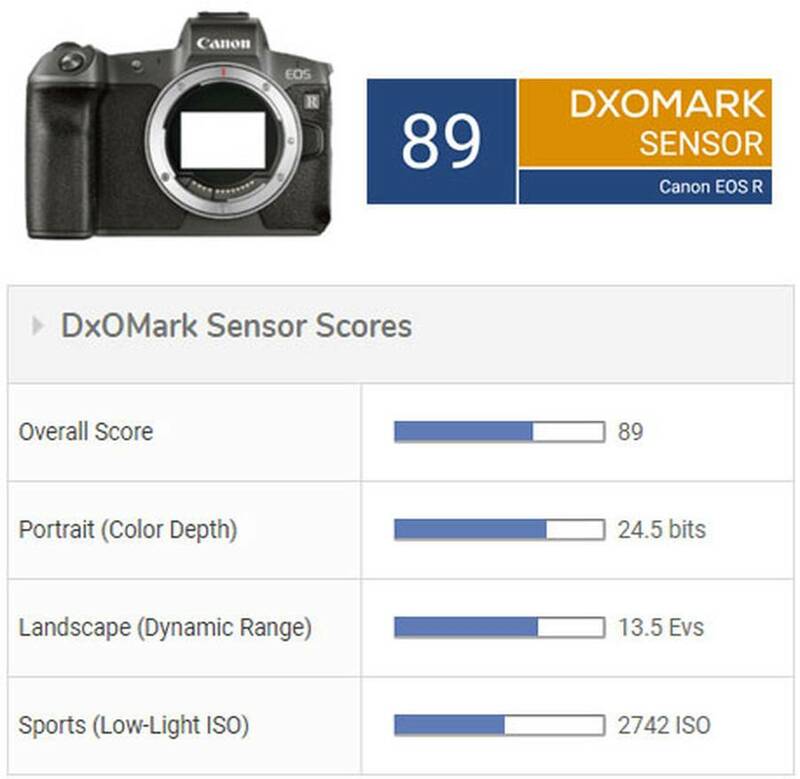 DxOMark published their Canon EOS R sensor review and test results. 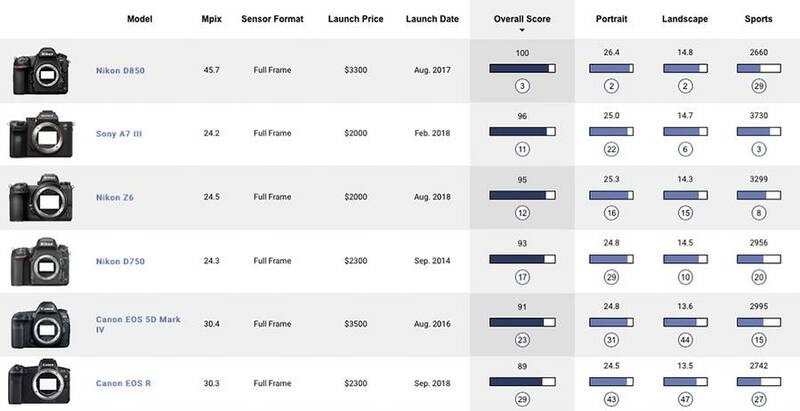 This is the first full frame mirrorless camera from Canon and the EOS R achieved a score of 89 points overall. The EOS R, which has a nearly identical image sensor, but different DIGIC version (DIGIC 8 vs DIGIC 6+) to the EOS 5D Mark IV actually scored 2 points lower at 89. The EOS 5D Mark IV scored 91 points and named as best Canon sensor ever. Canon EOS R is priced for $2,299 at Amazon, B&H, Adorama. With a low noise floor, the dynamic range of the Canon 30MP sensor greatly improves over its predecessors. The EOS R is much more capable of handling high-contrast scenes, thus allowing a photographer faced with protecting highlights at capture to lift shadows in post-processing without incurring some of the noise penalties. With its first model in a new system, Canon has equipped the EOS R with one of its best sensors—and that, together with some very interesting lenses, signals that it’s taking “mirrorless” very seriously.